Congratulations to two of our own! 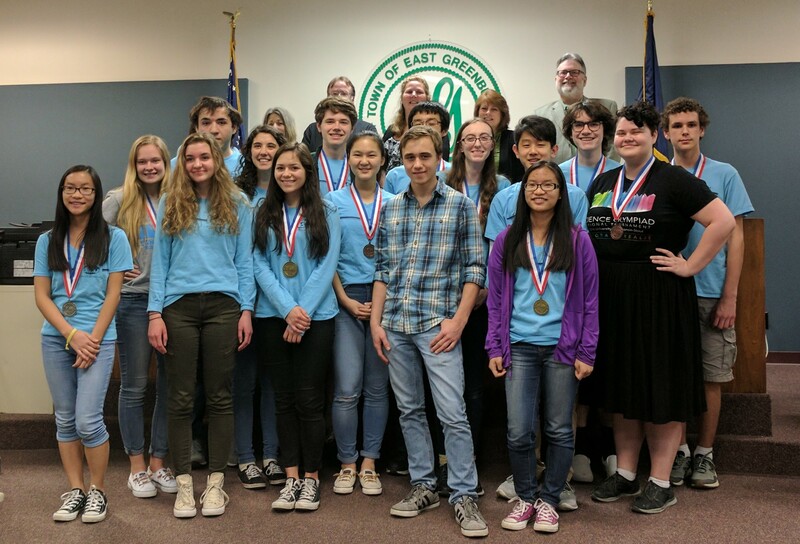 Congratulations to Haley D’Angelo and Natasha Montiel, both memebers of our CHSFH family, and the rest of the Columbia High School Science Olympiad Team as they were honored tonight by the East Greenbush Town Board for their accomplishments in winning the Capital Region District Championship and for their second place finish in the New York Science Olympiad Championship. Good luck in Ohio!